We’ve seen images of these Gold adidas F50 adiZero’s floating around for months now, and now adidas have finally confirmed their official release! 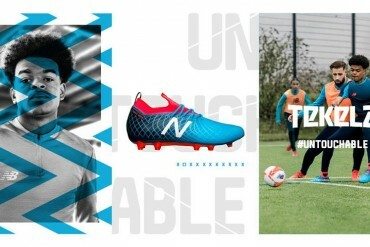 After speculation that they were to be used in the World Cup Final, we can now reveal that these swanky football boots will be the new colourway exclusive to Lionel Messi for the start of the 2010-2011 season. Much lighter than the usual bold-gold we’ve seen from football boots like the JB Final Puma series, which we thinks works well as it’ll look pretty smart on the pitch, rather than a darker gold that might look a little too much like the Sun Yellow World Cup colourway of the adiZero. As followers of previous adiZero colourways, we’re also fans of the plain black studs – whilst the Pink studs on the new Champions League colourway are fine by us, we know from the some of the comments that you guys have been looking forward to an adiZero with a more reserved soleplate design. 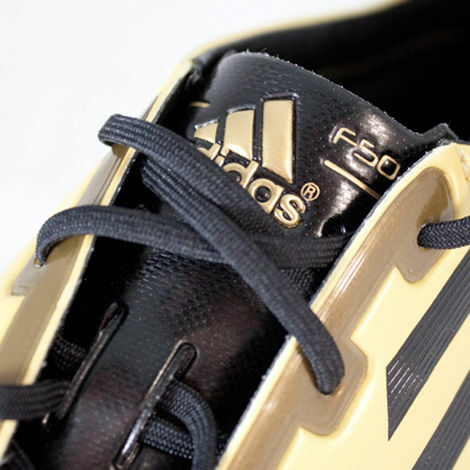 The Metallic Gold adidas F50 adiZero will get it’s on-field debut 2 weeks today when Barcelona take on Racing Santander away on the 29th of August (presuming Messi plays, of course) in the La Liga Season opener. 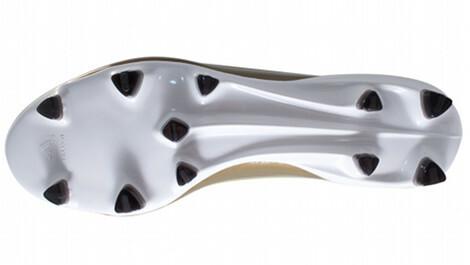 For those who are new to the adidas F50 adiZero, here’s a the boot in a nutshell – weighing in at 165g in it’s synthetic version, the adiZero was the lightest football boot in the World at it’s release. Whilst it’s since been succeeded by the Puma v1.10 SL, the adiZero was the top-scoring boot of the 2010 FIFA World Cup and has won several converts from other brands (Including Louis Saha, Nicolas Anelka and Jon Carew) to add to it’s already impressive stable of the likes of Arjen Robben, Lionel Messi and David Villa. will these be realeased in leather? finally a cool adizero colorway that won’t look ridiculous with my kits! 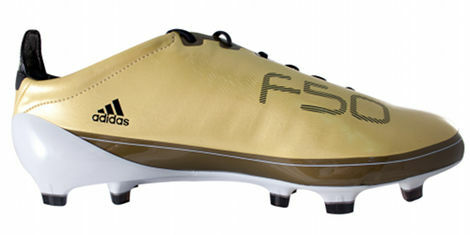 I’m glad this gold is slightly less in your face than the other colorways on the superfly and other adizeros. I could tell a gold colorway was coming because there was a gold color choice on mi adidas. This is a good way to stay ahead of the curve. 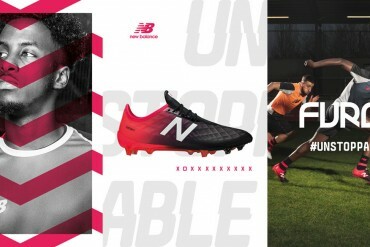 Question to all of you Footy Boots experts… when a colourway is exclusive, how do you stop a player (a pro player at that) buying this colour and wearing it… esp at the lower levels when boots may not be given free. 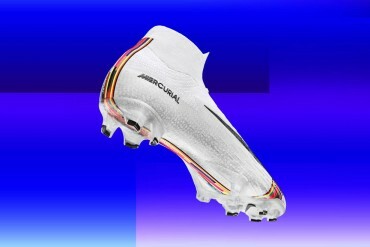 These boots look amazing. 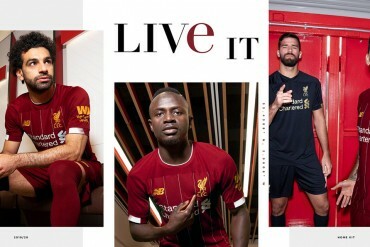 Very well done job by adidas. 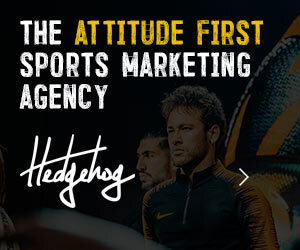 I think zizou wannabe`s question is interesting cause I saw some pros wearing the purple adizeros when they were supossed to be exclusive for Messi. Who’s going to be wearing these? 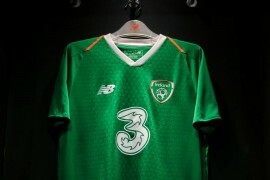 @zizou, the only way to stop players using new colourways is not to release them. 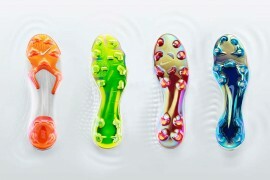 As soon as a player has the boot, unless they are a mainline endorsee, they can wear them. I think adidas did want Messi to exclusively wear that colourway, but only during the world cup. i think babel wore them yesterday? 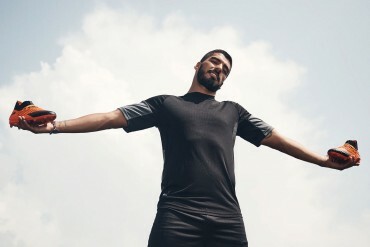 brian – I think players that wore them (like North Korea’s striker) aren’t officially sponsored by adidas. Whilst Messi was the only player provided with the Chameleon colourway, there’s nothing stopping any unsponsored player that wants to wear them going to the shops and buying a pair! 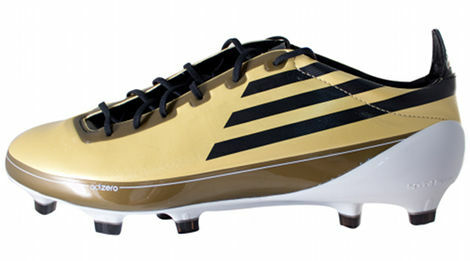 Best Adidas F50 Adizero II colouways to date. Hey kyle, thanks for the answer. Very clear. Yes it is a very classy colourway, but that doesn’t mean purists will want it. It would be nice to see a plain black/white colourway before this boots reaches the end of its life span. I think its pretty safe to say that this colourway gets a thumbs up from most people. 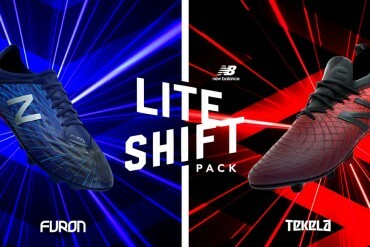 Whats interesting having read a few of the articles on this site about the adizero is how positive people are about this boot, whereas the superfly has taken a battering. Is the adizero the new king of boots? i remember back on Adidas “find your place in the team” campaign, F50 wasn’t a speed boot anyway -it was more of a trick/skill boot; sort of a “flashier” version of adipure. 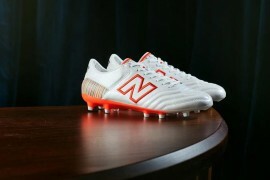 should this boot stayed that way (which it didn’t), this classy colorway would suited it quite well. 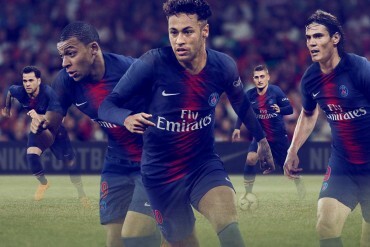 but then again, even some of the flashiest speedster on the pitch just want a decent plain white-black colorway -without any tropical fruits rainbow flavor attached to their boots. 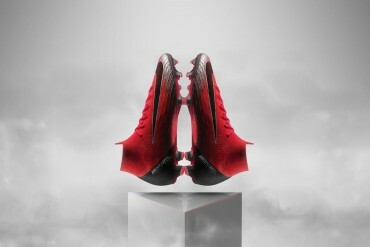 Terri, I have the same question pretty much since the adizero was released: Is this the new king of boots? I believe that little by little this boot is reaching that position of honor. It would be very interesting to hear what the other guys think about it. 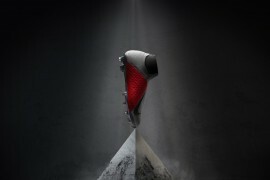 Something else, for me this boot doesn`t look cheap. It looks very classy. These look far way better then the other colours. 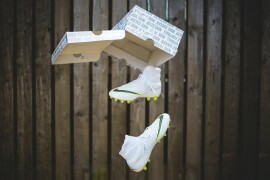 But i will stay on Adipures and CTR 360’s and Predators. so how do we find out when the eather version will be released? i really want these! to me. adizeros in leather are the king of boots. awesome!! !Â but what is the prise?